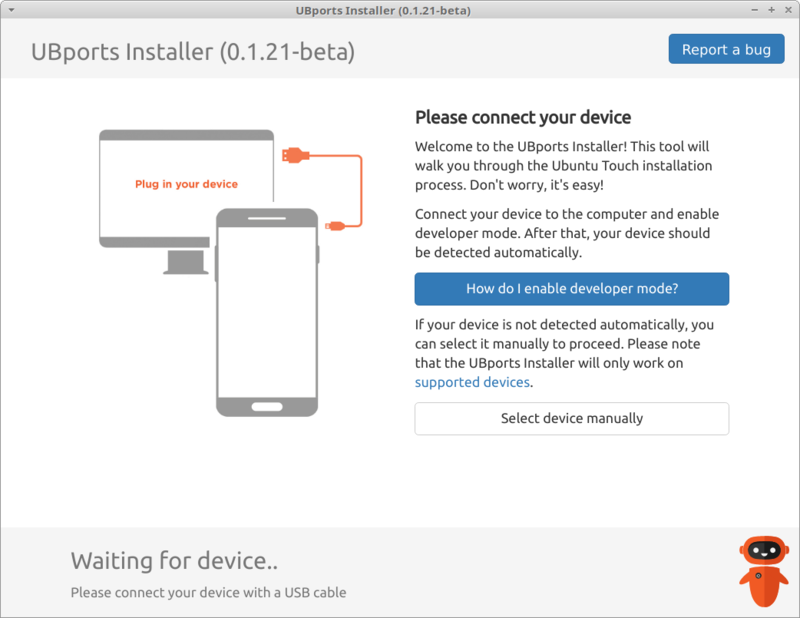 Unfortunately, Canonical decided to end development of Ubuntu Touch due to a lack of market interest, but luckily the UBports community took over development, and are running the project successfully to this day as the (soon to be at the time of writing) UBports Foundation. 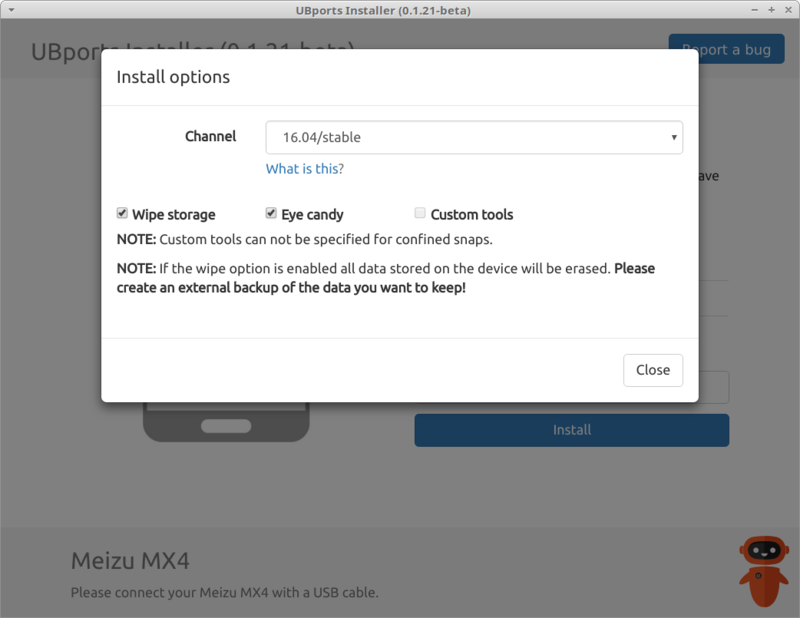 In this article, I have documented the installation process using the ubports-installer application, and included a manual bug fix that is currently required for installation on some MX4 phones. This fix was kindly put together by AlainW94 on the UBports forum, and documented here with their permission. 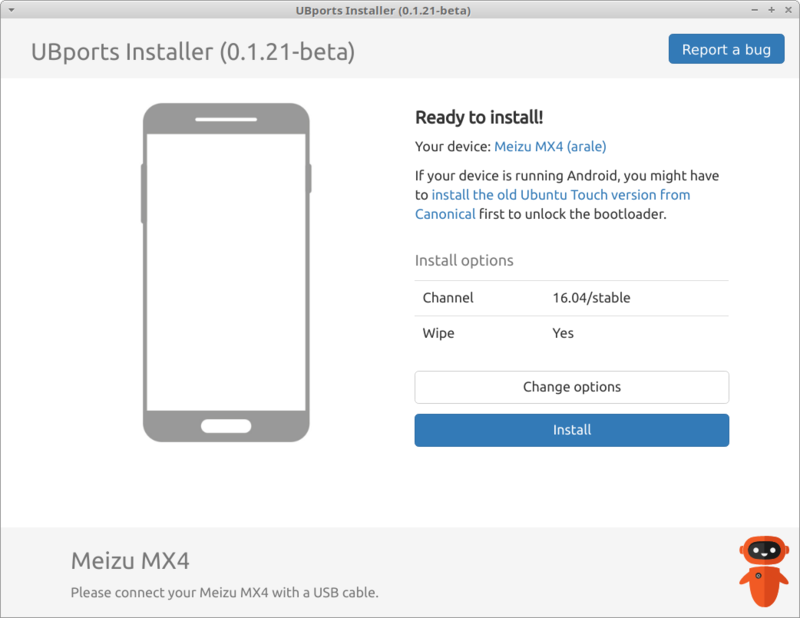 There is currently a bug in ubports-installer affecting some Meizu devices, preventing the installation from succeeding. It may be worth reading ahead so you know what to look out for. The fix involves making a manual code change and recompiling the application. 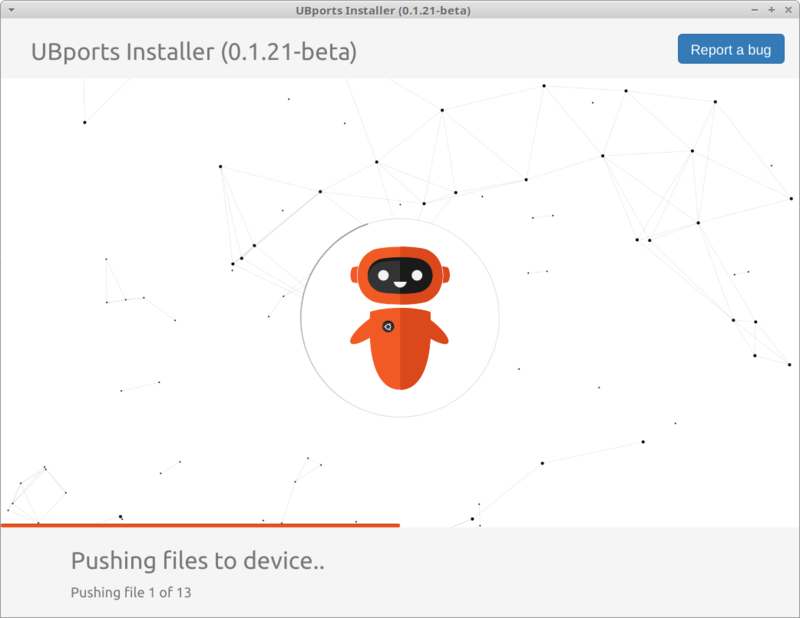 I recommend running ubports-installer using the ubports-installer command, rather than using the desktop/menu shortcut, as seeing the verbose log output can be very useful for debugging errors and ensuring that everything is working properly. 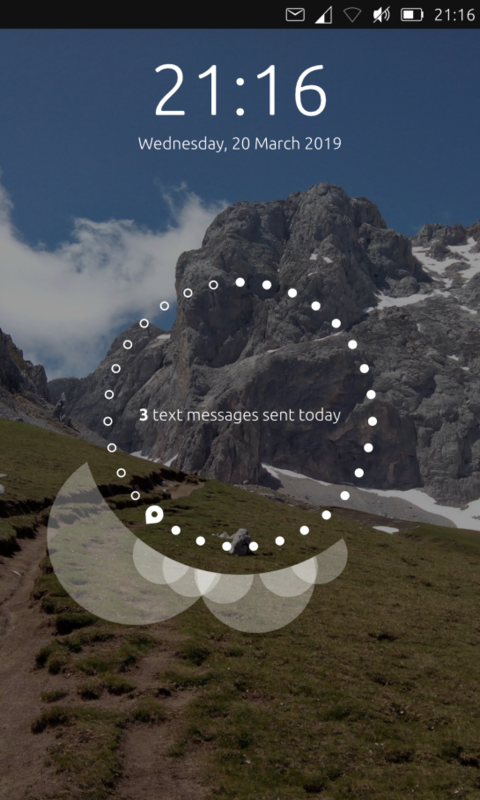 The welcome screen will try to auto-detect your phone if it is plugged in. For me, this unfortunately didn't work, so I selected it manually. 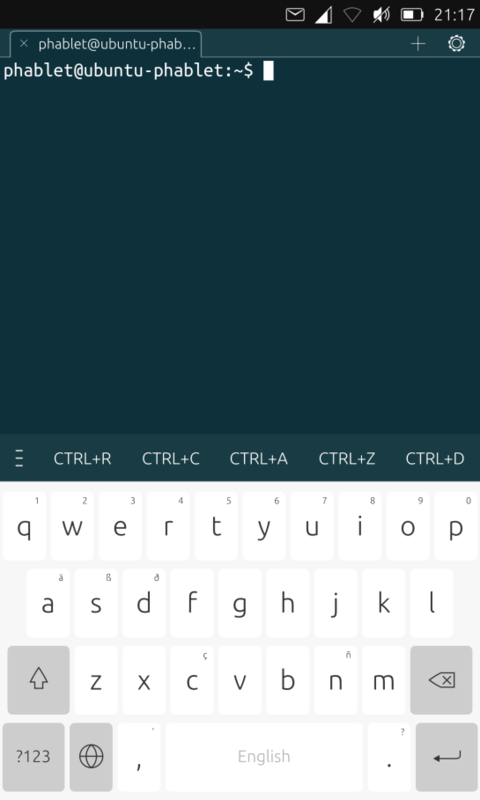 The latest version at the time of writing is Ubuntu Touch 16.04. Then, you'll need to put your phone in Fastboot mode, by holding down the power and volume down buttons while your device is in a powered-off state. You may have to hold them for a while, as in some cases it can take up to 30 seconds. This also doesn't seem to work reliably while your device is plugged in via USB, so I suggest temporarily disconnecting it while you do this. After you've done this, the installation should begin properly. However, on some Meizu devices you will run into the FAILED (remote: unknown command) error. If this is the case, then this is a known bug. The temporary fix involves making a minor code change and recompiling ubports-installer - I have documented the entire process below. ...then restart udev by running udevadm control --reload-rules followed by udevadm trigger as root. Installation takes around 5 minutes, and then there is another stage of installation that takes place on the phone itself. This also takes around 5 minutes. 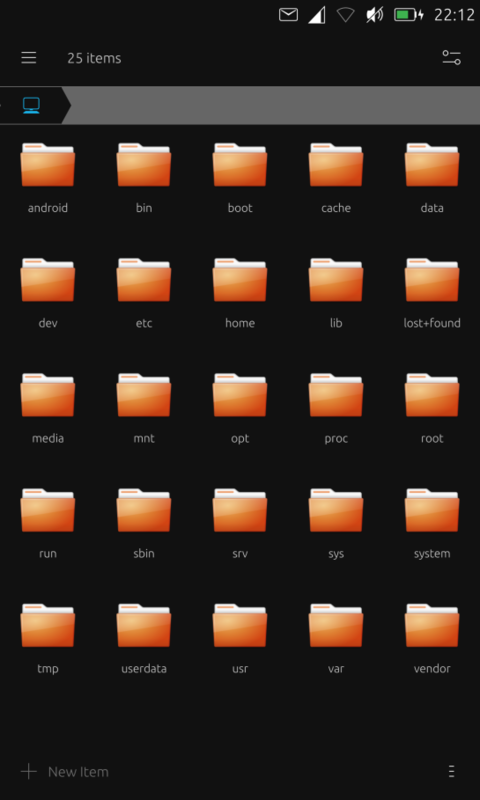 Your phone will reboot, and you can begin using Ubuntu Touch! At the time of writing, there is a known bug in ubports-installer affecting some Meizu devices. Essentially, the installer tries to reboot the phone into recovery mode, but Meizu phones don't fully support this, so you have to put it into recovery mode manually by holding the power button and volume up. Unfortunately the error handling in ubports-installer doesn't allow you to bypass this error by manually rebooting into recovery mode. As a temporary fix, you can manually remove the offending error handling code and recompile the application. I'd like to give a massive thanks to AlainW94 on the UBports Forum for devising this solution and assisting with my problem in my forum thread. They provide a lot of valuable support and contributions to UBports, so I am very grateful for their help! cd into the downloaded repository, and open the src/devices.js in your text editor. Once you've saved this change, you need to compile the application. To do this on Ubuntu 18.04, you'll need the npm and libgconf2-4 packages. You can also just run setup-dev.sh which should set up your build environment for you. Next, run npm run-script dist:linux (or dist:mac/dist:win, for whichever your platform is). Finally, you can run the application with npm start. 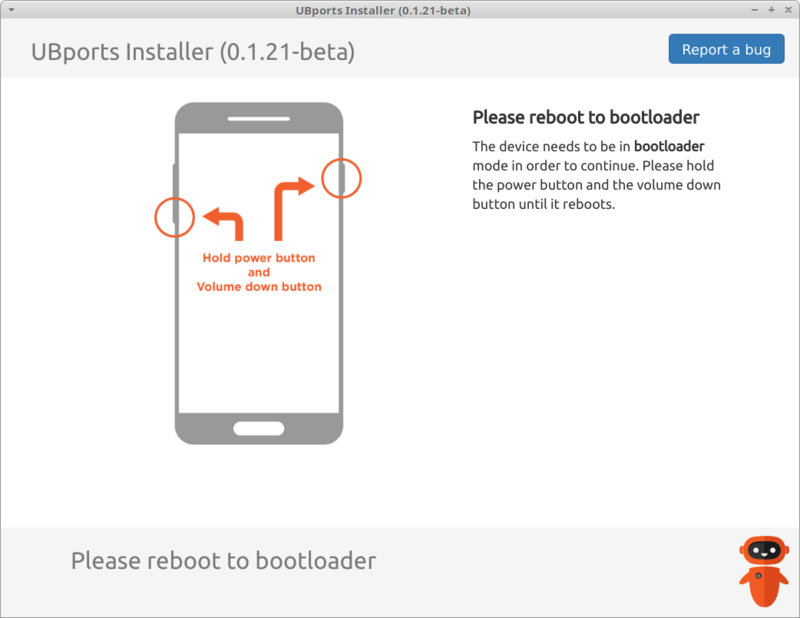 Now, ubports-installer will bypass errors at the point where the phone is required to be booted into recovery mode. This should allow you to proceed with the installation by manually putting your phone into recovery (hold power + volume up) when it prompts you to. This is of course not a perfect solution, as anything that involves bypassing error handling code is generally a bad idea, but as a temporary solution is does the job. 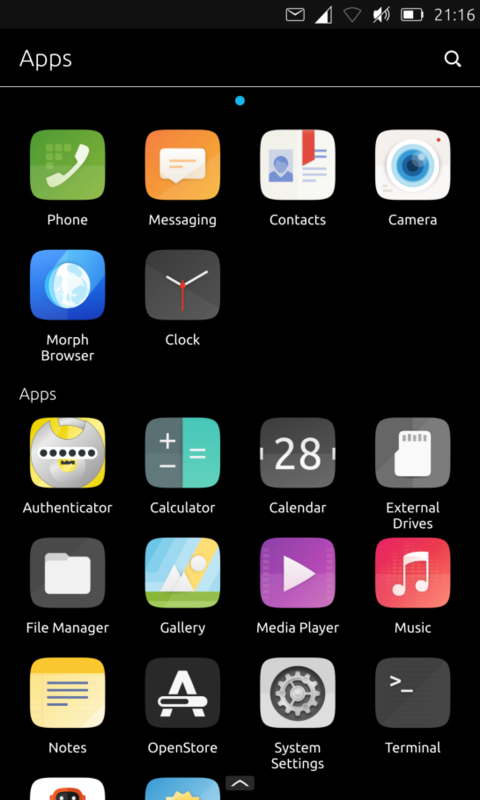 On my Meizu MX4, Ubuntu Touch performs well, and the battery lasts a long time. The OS has all of the features required for general smartphone usage, especially the way that many technical/security-oriented people use their phone. However, if you are a big social media/app user, then you may have issues due to the lack of official apps for most platforms. Ubuntu Touch is ideal for privacy and security conscious users, as well as those who like the convenience of having a fully capable native Linux device in their pocket. The fact that there is a native and unrestricted Linux terminal is also brilliant!